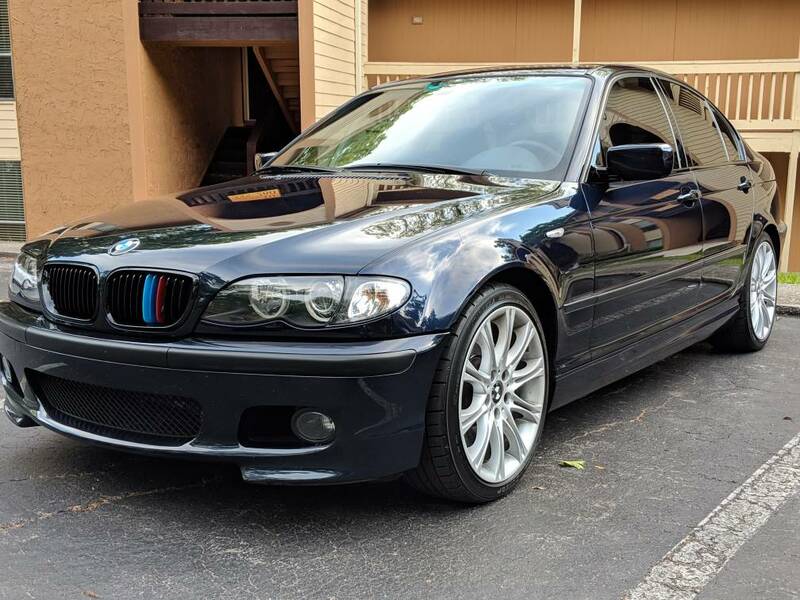 Hard to do this, but I'm officially listing my 1 of 20 produced ZHP for sale. The only reason I'm selling is because I'm out of garage space so this is the one to go. More details and history of my ownership below. Serious buyers only please. History of my ownership...I purchased the car 1.5 years ago from California and had it shipped to my mechanic in Florida. Since then, I've stored it in my garage and added 3,700 miles...only driving it on the nicest of Florida days. Carfax shows a clean title, no accidents and that I'm the 5th owner. According to the previous owner (#4), the third owner was her dad and he bought the car in his name then changed it to her name shortly thereafter. So owners #3 and #4 were from the same family. Owners #1 and #2 purchased from BMW dealerships in California. Owners #3 and #4 were also in California. I do not have service records going back to the original owner but since I bought the car I have added 3M window tint, an M series strut bar, new cup holder, new headlight lenses, OEM rubber floor mats, new OEM ZHP shift knob, new ECU, new front windshield, a dinan intake, clear tail lights, new throttle body, new intake manifold actuator, new spark plugs, new ignition coil, new fuel pump, new rear shocks, new rear shock absorbers, new disa valve, new idler pulley with belts, new lower intake boot, new rear differential bushing, new front lower control arm bushings, new window regulator and motor for the front passenger window, new front bumper lower grill, new front kidney grills in black with M stripes, new metal pedals, and a new OEM M leather steering wheel. I also had the driver airbag recall done at a local BMW dealership. This car does not have the cold weather package. There is no rust at all and the vehicle is a non smoker. Regarding the body of the car...I will admit there's a few blemishes on the paint but I personally hate to touch factory/original paint so I've left these alone and just enjoyed the car. There are some spots of clear coat on the roof that are coming off (about dime size, got it this way from previous owner), the rear bumper has a small area where paint has cracked but is not coming off or anything (also got it this way from the previous owner), and there's a handful of what looks like dried sap on the body (again, I got it this way from the previous owner). All that being said, none of the body blemishes really warrant removing the factory paint to fix, IMO. I searched for over a year to find orient blue with alcantara and I would really like to see this car go to a fellow enthusiast. Last edited by BMWLIFE; 04-01-2019 at 02:20 PM. Thanks! Yes...I cannot figure out for the life of me what the blemishes are either and mine are as smooth as the paint, too. Orient blue plus Alcantara is rad. A new member, but yes it did. All times are GMT -8. The time now is 03:41 AM.